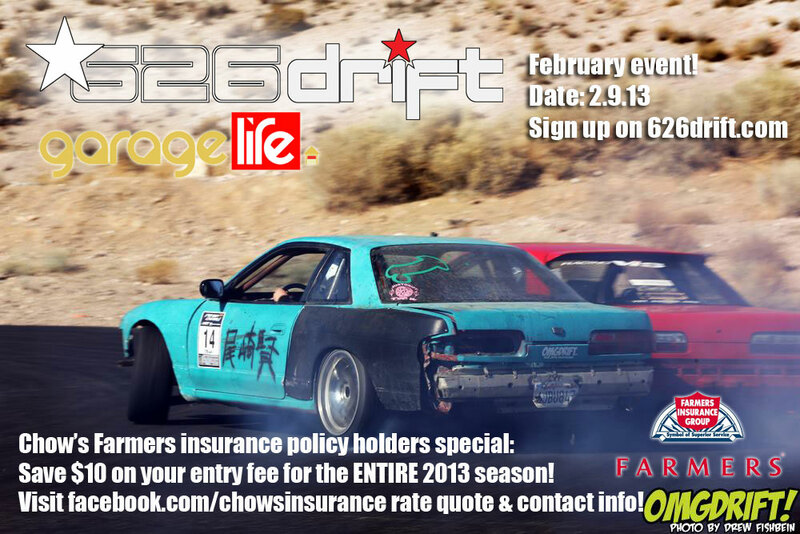 Drift practice day with 626DRIFT on Feb 9th! 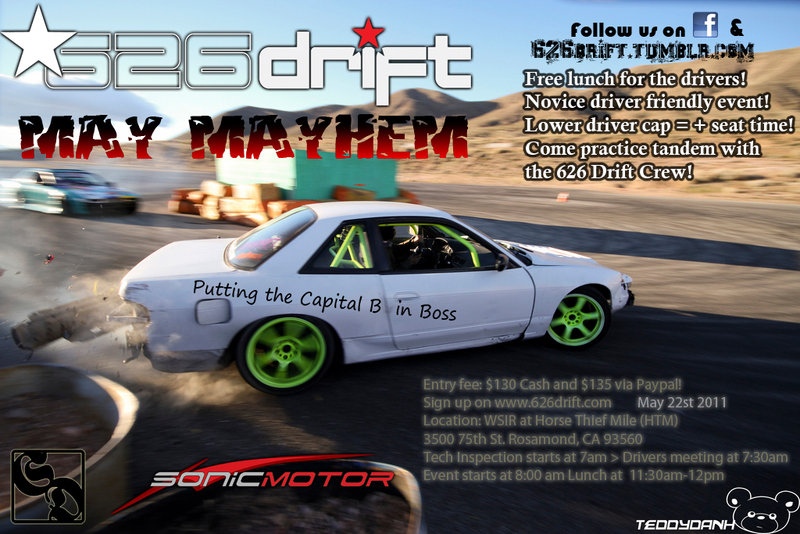 Join the 626Drift crew for another day out in the high desert play grounds of Willow Springs Raceway, Rosamond, CA. 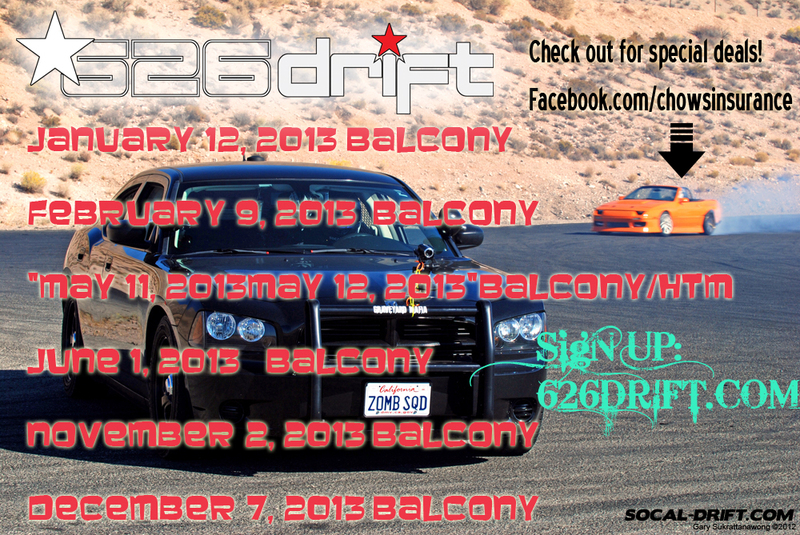 We'll be up by the Balcony Circuit on February 9th, 2013. What time? Drivers must be at the track by 7am please! 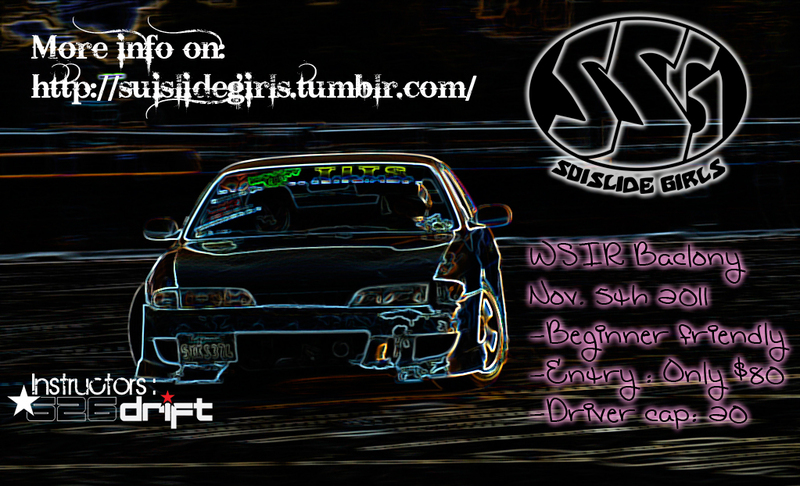 This event will be a beginner/novice friendly event. We will be setting up for skid pad in the morning for those who want to practice doing donuts(Power circles) and figure 8s. In person, please visit our friends at Garage Life to sign up with cash. What time? Drivers must be at the track by 7am. Important announcement. There might be a price increase on track rental, we won't know for sure until 2013. As of now, the price will be $75 if you are insured under Chow's Farmers insurance policy. $85 regular price. I will honor all the early bird prices. But if the track does decide to increase their fees, I will need to bump up the entry fee by $15. So don't wait, sign up today! Media from the last event! Hi everyone, if you haven't liked us on Facebook, please do so now! So you like to chill at the desert huh? Perfect! a free set of wheels from Varrstoen 2.2.1 or 2.2.2. Godspeendproject will be giving out $200 to spend on GSP products! HPS Silicon Hoses will be giving out spending cash on HPS products! 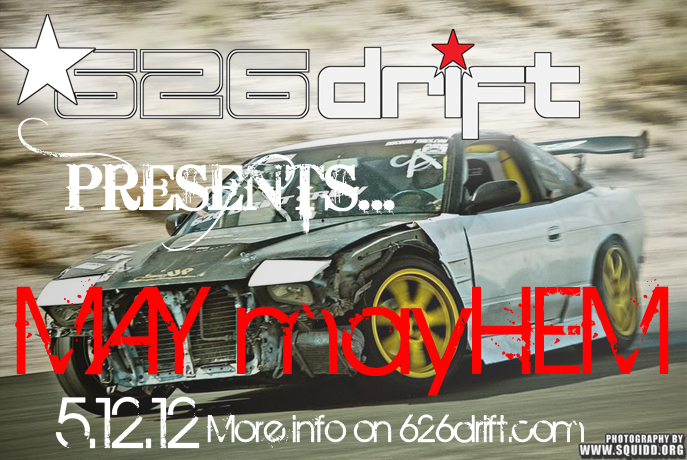 Or you can find us at the 626 meets in Alhambra on Friday nights as well!